Hi everyone! 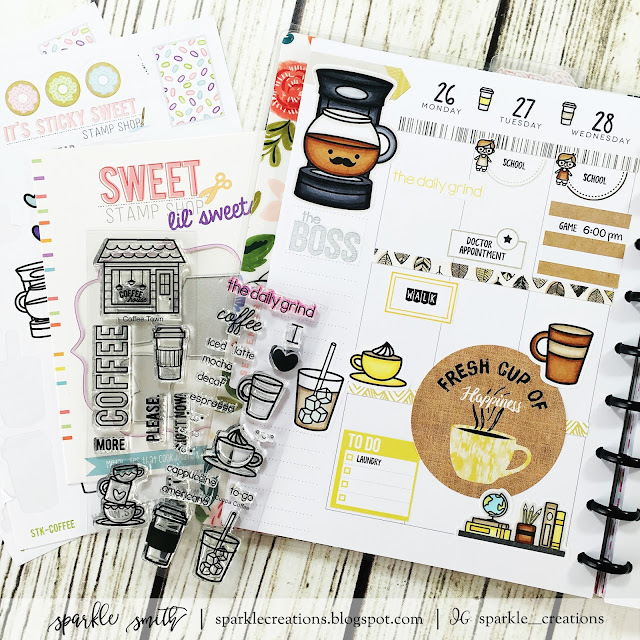 Just wanted to pop in and let you know I'm up on the Sweet Stamp Shop blog today! It's National Coffee Day next Thursday, so I thought it would be fun to do a coffee theme. 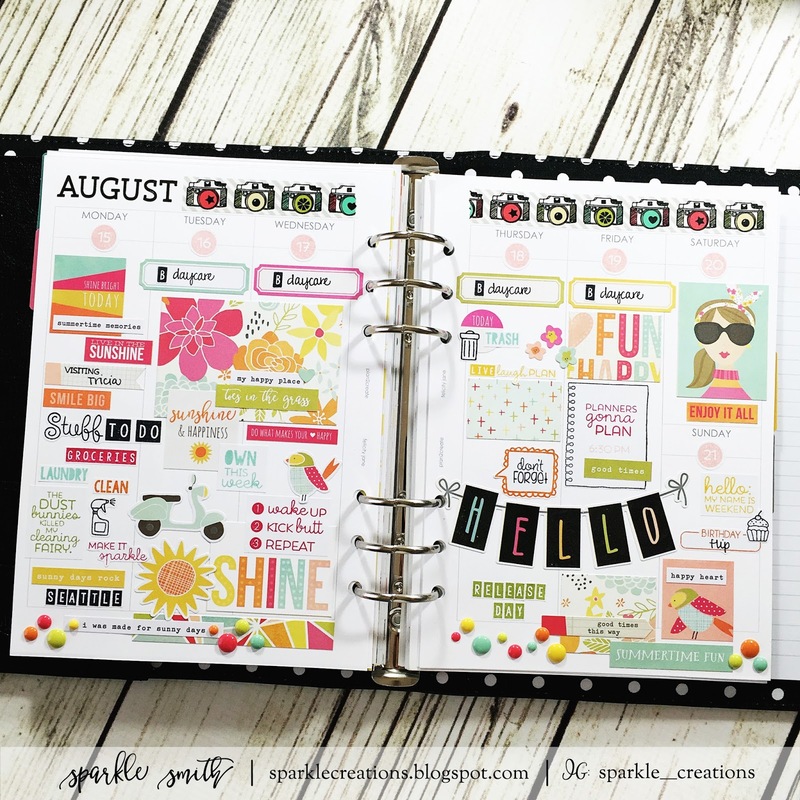 Come check out the Sweet Stamp Shop blog to see my full project! Hope you all have a wonderful Tuesday! Hi! Just wanted to let everyone know I'm up on the Sweet Stamp Shop blog today! Here is a sneak peek of the project I made. 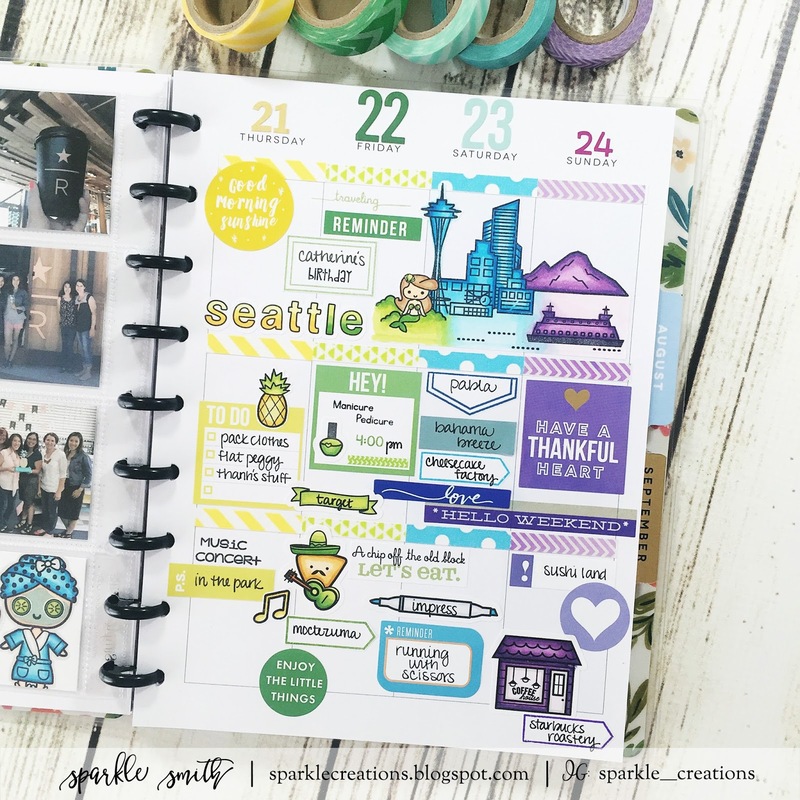 To see the whole layout and learn more about it, head over to the Sweet Stamp Shop blog. I had a girls weekend a couple of weeks ago with a group of my crafty friends. I'm so blessed to have such a great group of friends. We all live spread out, so we don't get to see each other often. It's always a fabulous time spent together when we do get to hang out! Have a great day everyone! Here is my completed layout for last week in my Carpe Diem. I am not ready to let go of summer! It's been in the high 90s here in Portland, which is pretty hot for the Pacific Northwest! I love using bright colors and layering things together. I know it adds bulk to my planner, but I just can't help it. With me traveling home, Brent's family and Anna's mom in town, it's just been a busy week! We took the kiddos to a new splash pad this weekend and did a lot of running back and forth between mine and Brent's parent's houses. It was great to see everyone though and let everyone have a turn with Boston. Well, I hope you all have a great day!